Mathew J. Rees is a multi-award winning composer and sound designer. 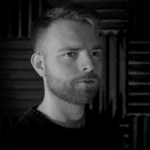 His recent credits include Persis Films' Last Few Weeks, Red Razor's thriller The Scarlet Vultures...Read moreMathew J. Rees is a multi-award winning composer and sound designer. His recent credits include Persis Films' Last Few Weeks, Red Razor's thriller The Scarlet Vultures directed by Kyle Martellacci, and Rishi Opel's The Date. Other credits include The Last Earth Girl directed by Jim Wetter, and Gillian Zinser's Whoever You Are as well as many award winning shorts and projects, notably Andante by Heather Merrill and Neil Jackson's Off Ramp. Mathew's work covers multiple fields. Whilst his work is mainly in the realm of film and tv scores, his music can also be heard on adverts, trailers, idents and games. Recently the prototype game Captive Audience has received enough backing to kickstart a full title game worth £40,000. 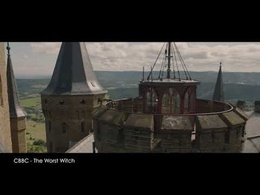 Mathew displays a strong variety in his work which can be heard in Upper Cut Productions' new showreel/trailer, and the Pangaea channel. As an in-house composer for Pioneering Studios LLC, Mathew has been responsible for implementing earth shattering sound design and music for the game companies' space thriller Contagion currently in development. Mathew's music will also be heard throughout After the Void, a space survival game based on colonising a new planet. Sound design over an existing song to make it more darker and sinister! Mathew is a hard working, dedicated and creative individual who strives to create the best possible product for his clients. He was very accommodating with our tight deadline and gave us a variety of options to choose from to best fit our needs, I'd highly recommend him for your sound design needs! I need a soundtrack for a short film. Excellent soundtrack. Delivered a soundtrack that exceeded the original vision. Mathew is great person to work with. He has a valuable talent. Hoping to work with him soon. Great work on my project! Fast turn around time. I would definitely hire Mathew again. Great work! Fast Turn around time! Would definitely recommend to anyone looking for a great composer! Without doubt Matthew is the finest musical composer I have ever worked with.He read my mind brilliantly in knowing exactly what to produce & interpreting my thoughts into audio.Matthew is incredibly patient,a great communicator and incredibly talented in delivering a variety of high quality musical scores.Everything from a choral vocals,classical,to more contemporary.I'll be commissioning Matthew again,he's hugely talented.It was an absolute pleasure to work with him.Thanks Matthew.